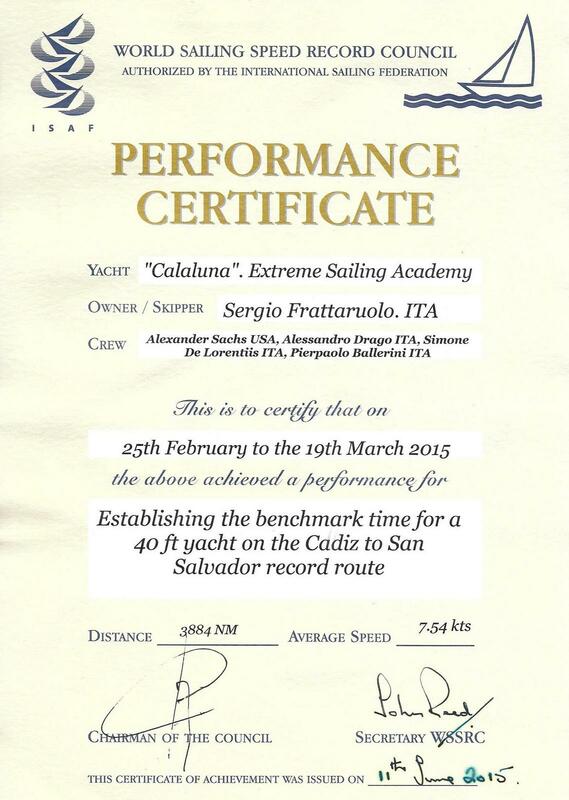 On 19th of March, Extreme Sail Academy beat the record of Atlantic crossing on board of a Class40 across the Discovery Route, the route followed by Columbus when he discovered the New World. 21 Days, 11 Hours and 19 Minutes is the official time certified by the World Sailing Speed Record Council (WSSRC). The sailed distance is 4320 nautical miles at an average speed of 8.88 Knots. Congratulations to the Skipper Sergio Frattaruolo and his crew: Alessandro Drago, Alexander Sachs, Simone De Lorentiis, Pierpaolo Ballerini. A special thanks to all our supporters, friends and to the sponsors who have trusted in us: “SailorWear”, “Lombardini Marine”, “Apa”, “Special Wrap”, “Gruppo GreenVision”, “Intermatica”, “Weelio”, “Alce Nero”, “Geomat”, “Amphibious”.